BEACON FALLS — Longtime Woodland cross country coach Jeff Lownds isn’t used to having a sizable group of freshmen come out for the team in late August. But that’s exactly what the 18th-year coach got this season when 17 rookies joined the Hawks to double the size of the program. 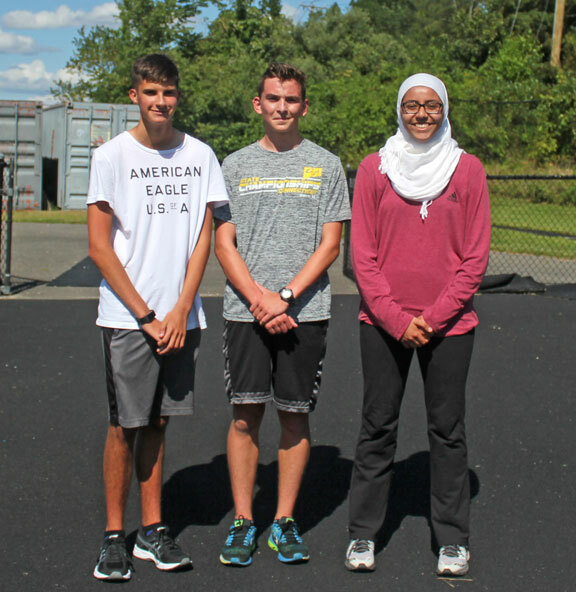 Although there are plenty of newcomers this fall, Woodland returns several runners who helped the Hawks to success in their championship meets last year. Both the boys and girls squads finished among the top three at the Naugatuck Valley League championships and seventh at the Class M state meet. Emma Slavin, a junior who earned All-NVL honors last season, returns to lead the girls squad. She’s joined by all-division honorees Jill Brotherton and Jaden Young, as well as Bayan Galal, the team’s lone senior. Lownds also pointed to sophomore Brooke Iannone and freshmen Chloe Poulos and Megan Ruhl as promising runners. On the boys side, the Hawks will have to replace All-NVL runner Matt Luxeder. All-division runners Kyle Crowell and Greg Aldrich, both seniors, will lead the way along with Charlie Schwarz, Marty Swercewski, Riley Muricchio and others. Like the other teams in the area, the Hawks had to change up their practice schedule a little bit last week due to the scorching weather. Lownds said he’s been encouraged by the fact that most of his returning runners and newcomers appear to be dedicated to the program. Woodland will open the season Sept. 11 against Wolcott and Wilby.